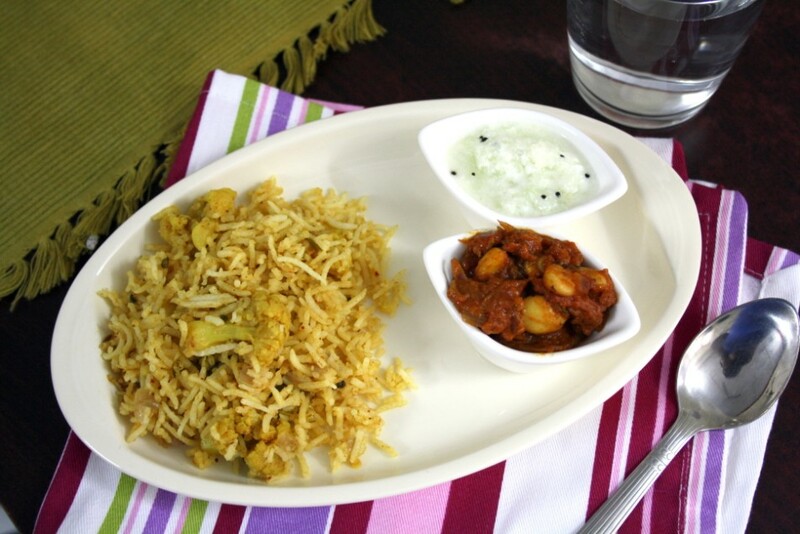 For the second day it’s the gravy that was served for the Cauliflower Biryani. Well technically I should have posted it along with the rice, but didn’t have the heart not making this a star dish! The first time Amma made this gravy, she had actually made with Paneer and along with a Veg biryani and the combination was a hit. Imagine I didn’t click pictures nor take the recipe from her until very late. When I asked her for the recipe, saying that Paneer was awesome, she was saying it’s quite simple to assemble. I never came around making the Paneer cashew tomato gravy, though finally settled with a plain cashew fried in tomato sauce. When you are confused on what to make for the biryani, especially when you are planning a feast this will surely fit the bill. Let’s enjoy this gravy for now. For the tomatoes, toss the tomatoes over flame, when the skin turns colour, remove. Cool and remove the skin. Grate the tomatoes to get fine paste. Heat a tbsp of butter in a non stick pan, take the whole cashew nuts and saute to golden colour. Remove and keep aside. Then saute finely chopped onions, then ginger garlic paste, Stir till the onions turn colour, add red chilli powder. When the onion mix gets cooked, add grated tomato paste. coriander powder. Saute well, then add a cup of water, bring to boil. When it starts boiling, simmer and cook for 5 mins. Then add finely chopped coriander leaves, finally the fried cashew nuts. Cook for couple of minutes and remove. 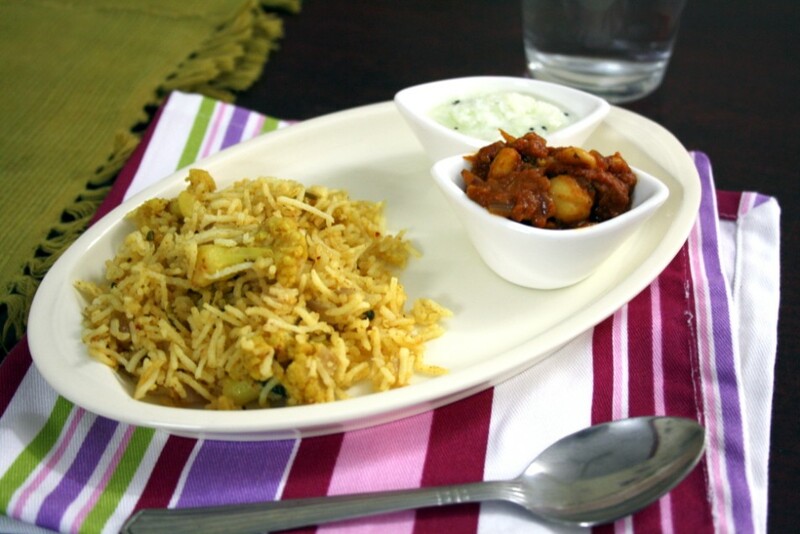 Serve with Cauliflower Dum Biryani. very colorful and rich gravy…like it! Omg, thats a super delicious rich looking gravy. A different recipe all together. looks very nice valli and cashew must have made it richer too. Sounds simple and delicious. Valli, can we roast the tomatoes on a skillet and just mash it?